Joan is celebrating 3 years with Iron Clad, so we’re celebrating Joan as our March Member of the Month! When Joan first came to Iron Clad, she was a little cautious and mostly kept to herself. Over time, as she got to know me and our members she has opened up and now we get involved in all kinds of interesting conversations and we have this wonderfully funny banter between us. Joan is always good for some witty one-liners that make us laugh! But don’t think that all of this fun takes away from her hard work because it doesn’t. Joan is always focused on her kettlebell technique and she is always working to make improvements wherever and whenever she can. To me, Joan really embodies the mindset and growth that can happen from focusing on one small change at a time. She allows herself to be open to small technique tweaks that can make a big difference. 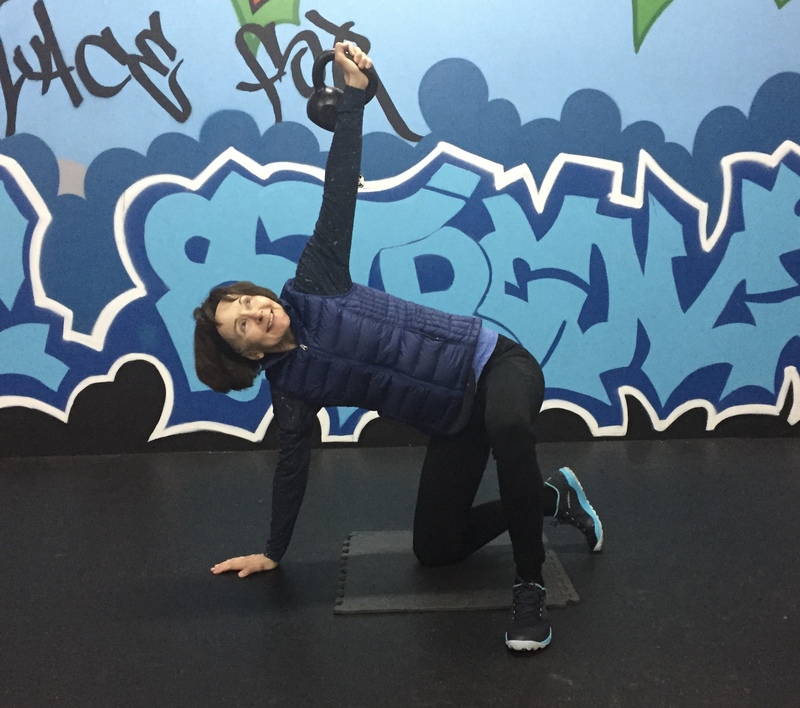 During her 3 years, Joan has also recognized how important mobility is to improving strength and function and she has continued to work very hard to improve her mobility and posture. “I’ve had 3 different KB instructors before I found Shari at Iron Clad. Shari is the best. I value the patience, precision and professionalism Shari brings. Her patience is important as I try to improve my form. Of course, precision helps me get stronger without hurting myself. Professionalism assures that I find variety in the classes and everyone is treated with respect. I hope that I can train with kettlebells at Iron Clad for many years to come.” We sure hope so too, Joan! Congratulations on this huge milestone and for all of your hard work, Joan!